PhonePe wallet works on the UPI (Unified Payments Interface) platform made by the NPCI. It is powered by the YES Bank. The PhonePe app is secure for all your payments and banking transactions. Starting from the UPI payments, money transfers, online recharge, bill payments and more. 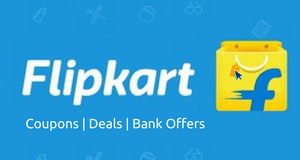 Pay while shopping at the favorite online stores like Myntra, Flipkart, Jabong and more. 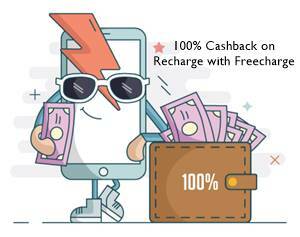 We have made the fresh list of all PhonePe offers, cashback codes, add money offers below. So, check and start using them now. 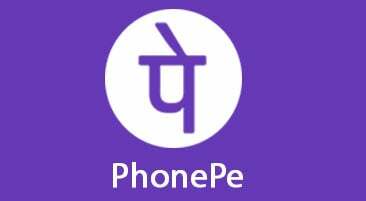 PhonePe is a UPI payment wallet for the fastest cashless transactions in India. Now do UPI payments, recharge, money transfer and more quickly. Avail the PhonePe offers and promo codes from the below for the maximum cashback and discounts. So, check the below PhonePe wallet offers now. Flat Rs.100 Cashback on Standard Chartered Bank UPI Transaction with PhonePe. Max cashback will be Rs.100 on minimum purchse of Rs.300. 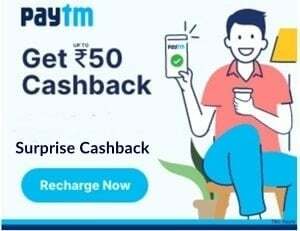 Offer applicable on Recharge and Bill Payments. Flat Rs.30 cashback on first Jio prepaid recharge & Flat Rs.10 cashback on repeat Jio prepaid recharge. Minimum Recharge should be Rs.149. Go the PhonePe App APK page on Google Play Store by Clicking Here. Open app > Select Language > Enter your mobile number. Verify it by OTP and then, log in to your Gmail account. For securing account, create a Google PIN or use Phone’s security. Go to Dashboard Settings > Add Bank account > Select Bank and Verify with UPI PIN. For more wallet offers, you can have a look on our Jio Money wallet offers and Paytm add money codes now. How to start using the PhonePe app? Download the all-new PhonePe Wallet App for Android / iOS. Open App > Enter Mobile Number > Verify (SMS charges apply). NOTE: The mobile number should be linked to your bank account. Enter some other needed details like Name, Email and more. Set a 4-digits password for unlocking your wallet later. Then, select your bank and enter details to link your account. Now, you are ready to use your PhonePe for all your payment needs. Our PhonePe offers and coupons page contains all the fresh promo codes, cashback offers of the PhonePe wallet. If you have started using this UPI payments app, then you should bookmark this page now. The Yes Bank powered UPI payments app, PhonePe is the leading UPI platform in India. It is a fresh way for cashless mobile payments in our country. From bank to bank transfer to online bill payments, recharge to UPI payments, it has all the solution with a next-level cashless payment experience. Its UPI payments experience is much better internet banking. It meets all the online payment and banking needs. The app is also safe and secure with some cool security features. Now, it is not necessary to remember all your bank account numbers, IFSC codes and other details. You can now make instant bank transactions by using your linked mobile number only. PhonePe’s wallet helps in faster cashback and refunds when you are using the portfolio in partner stores. Recharge on mobile, DTH, pay electricity, gas, landline bills and more quickly. Use your wallet money at online stores like Myntra, Jabong, Flipkart, and others. So, for the all-fresh PhonePe wallet offers and cashback codes, bookmark this page now. Visit daily for fresh promo codes. Thanks Promocodeclub club to keep updating offers regularly. Phone pe is changing offers and conditions very fast. Pls keep updating coupons regularly.